What form of housing will emerge in Dubai, where the majority of the population are non-citizens and the average length of stay is three days? How will depopulating cities reclaim vacant space, reorganize infrastructure and redefine their economic identity? What type of architecture results from the prevalence of airborne contaminants? What kind of urbanism does Google Earth produce? Exploring the increasingly decentralized systems through which cities are organized and produced, Distributed Urbanism highlights the architectural practices that are emerging in response. Unlike early models of urbanism, in which centralized models of production, communication and governance were sited within a central business district, contemporary urbanism is shaped by remote, distributed mechanisms such as information technologies, (i.e. SatNav, Google Earth, E-trade, Photosynth or RSS web feeds) cooperative economic models and environmental networks, many of which are physically remote from the cities they shape. 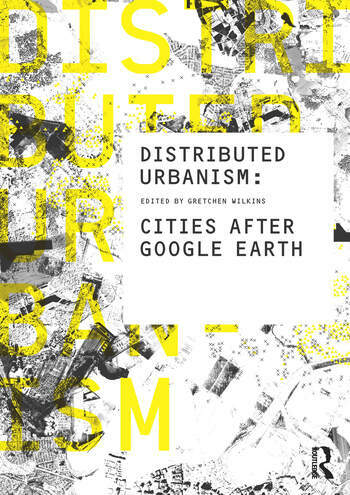 Consisting of a collection of case studies on global cities including Rotterdam, Tokyo, Barcelona, Detroit, Hong Kong, Dubai, Beijing and Mumbai, Distributed Urbanism draws on these cities in relation to current events, urban schemes and demographic data. All the contributors, a combination of commentators on urbanism and architecture, as well as practitioners in the field, are admired for their work in the area of urban change. Gretchen Wilkins is Senior Lecturer in Architecture at RMIT University in Melbourne, teaching in the Urban Architecture Laboratory and is a co-coordinator of the World Architecture Workshop. Previously she was Assistant Professor at the University of Michigan and Research Fellow at the Japan Foundation. She is the editor of Entropia: Incremental Gestures Towards a Possible Urbanism (Champ Libre, 2008) and On-The-Spot: Atelier Hitoshi Abe (University of Michigan, 2008).